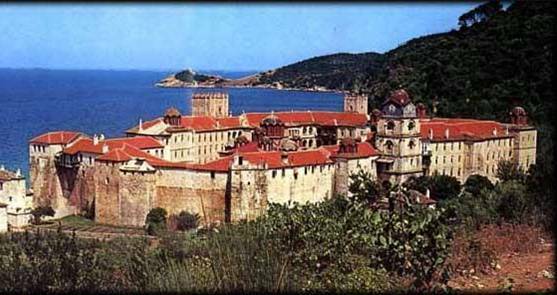 MOUNT ATHOS , GREECE – Today the Greek government deployed hundreds of armed police to forcibly remove the monks of the Holy Monastery of Esphigmenou from their monastery. Under the leadership of foreign minister Dora Bakoyannis, all roads to the monastery have been sealed off and over 200 police in full riot gear are on Mt. Athos , with an additional 400 police deploying to assist in the pending assault. 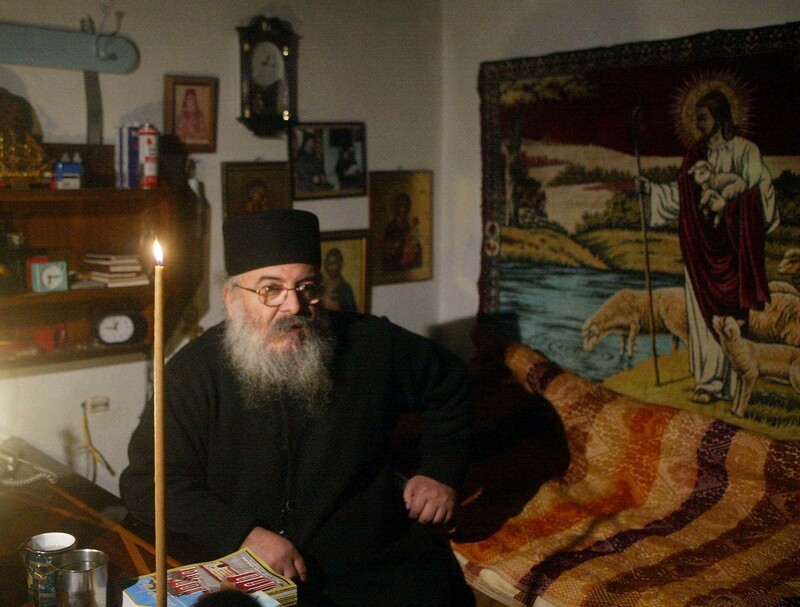 Their expressed plan is to forcibly remove the peaceful and defenseless monks and their long-standing Abbot Methodios from their monastery, and replace them with those who pray in accordance with the dictates of the Greek government. The government has authorized the use of force to resolve a religious dispute after failing to starve the monks into leaving their monastery during a 5-year blockade. In this time, they have denied the monks deliveries of food, medicine, heating oil, and access to medical attention while simultaneously subjecting them to a non-stop campaign of official harassment and intimidation. The local Greek prosecutor, Vasilis Floridis, has destroyed the livelihood of these peaceful monks who seek to be left alone to pray in their monastery. Last week Floridis sent a letter to senior government officials calling the monks a “national threat” and demanding their removal. This is the same prosecutor who in October 2006 threatened “grave consequences” to anyone who dared raise their voice to protest these actions. The monks have repeatedly requested dialogue with the Greek government as well as Patriarch Bartholomew of Istanbul to resolve this dispute. The Patriarch, who has declared the monks “schismatic,” has refused to aid in the peaceful reconciliation of this dispute. For the last five years, the U.S. Government has cited Greece for its treatment of the Esphigmenou monks in its International Religious Freedom Report issued by the Department of State. For more information please contact John Rigas +1-617-971-0091 or visit: www.esphigmenou.com.